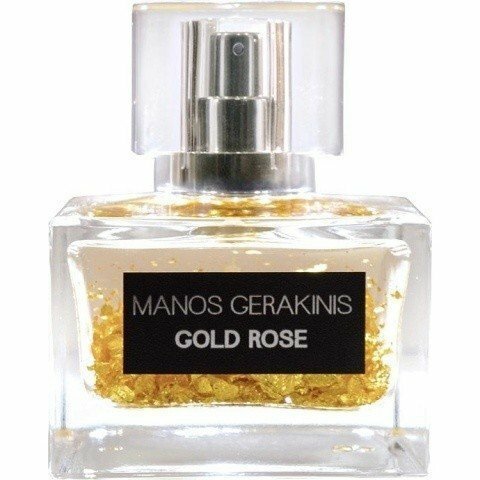 Gold Rose is a perfume by Manos Gerakinis for women and men and was released in 2015. Projection and longevity are above-average. The production was apparently discontinued. Intensely fresh, rich, citrusy-sweet-surreal lush rose petals and geranium, blanketed by a trail of vanilla, soft/soapy/delicate florals (violet), resting on a deep base of vetiver and woody accords. Very long lasting. Easily wearable for a male. This fragrance just emanates cleanly vibes which is one of my most favorite qualities in a fragrance. Expensive but justifiably so. Sadly discontinued. Rose Gold easily earns its way into my top 5 all time favorite fragrance rose based scents. Write the first Review for Gold Rose!